All of our wreaths are made with fraser fir greens that will last until February and beyond. They are made fresh from the middle of November until the middle of December. Custom decorations can be added. 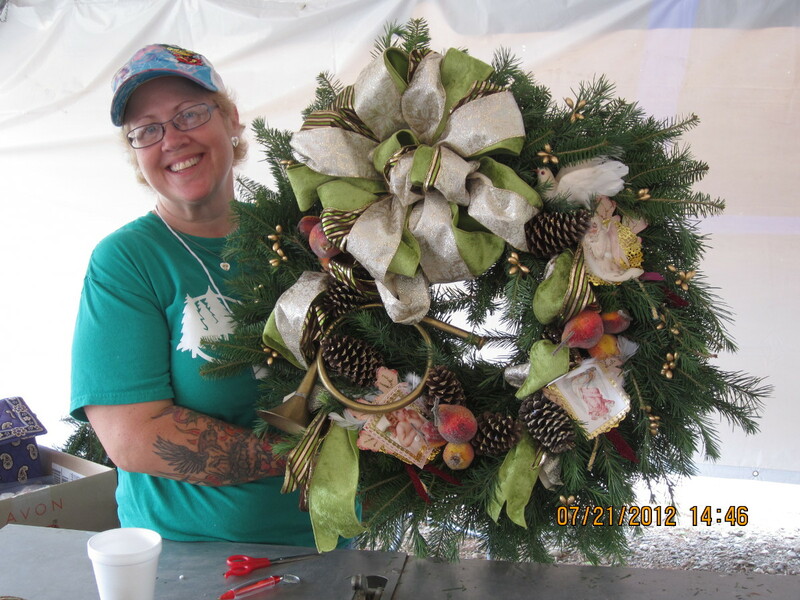 If you would like to send one of our wreaths to a friend or relative, call us. Give us your choice of ribbon color, we’ll include a card with your message, and send it off UPS. Check with us for details.